Warriors and Scholars: Who are the real Muslims? 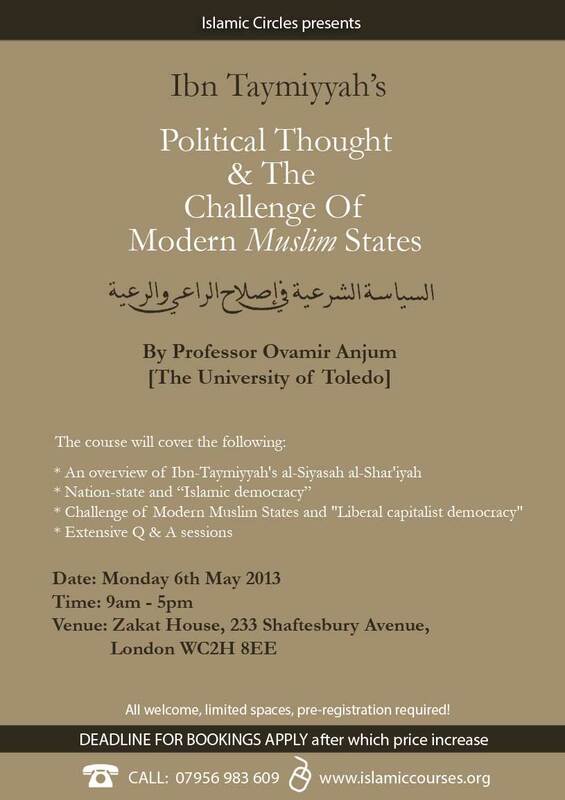 Professor Ovamir Anjum is Imam Khattab Chair of Islamic Studies at the Department of Philosophy, University of Toledo. His work focuses on the nexus of theology, ethics, politics and law in classical and medieval Islam, with comparative interest in Western Thought. His interests are united by a common philosophical focus on epistemology or views of intellect/reason in various domains of Islamic thought, ranging from politics (siyasa), falsafa (Aristotelian Islamic philosophy) and spirituality (Sufism, mysticism, and asceticism). He brings this historical knowledge to bear on issues in contemporary Islamic thought and movements. He obtained his Ph.D. in Islamic Intellectual history in the Department of History, University of Wisconsin-Madison. His Ph.D. dissertation is titled “Reason and Politics in Medieval Islamic Thought: The Taymiyyan Moment.” He holds a Masters in Social Sciences from the University of Chicago and a Masters in Computer Science from the University of Wisconsin-Madison. During 2007-2009, he served as the Senior Fellow of the Lubar Institute for the Study of the Abrahamic Religions, UW-Madison, and taught in Religious Studies Program at the University of Wisconsin-Madison. Among other projects, he is currently working on a book on Islamic political thought which revises conventional wisdom on the subject by arguing for its continued vitality and relevance and offers an alternative way to read the influential Muslim jurist and theologian, Ibn Taymiyya. In another work, he analyses and translates Ibn al-Qayyim’s spiritual classic, Madarij al-Salikin. It costs $40/£25 to watch and you have a month to view it.